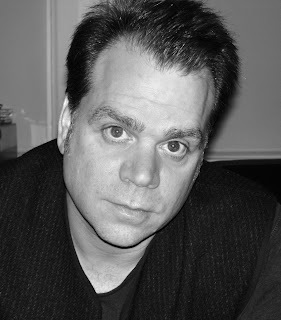 The Clean Part Reading Series: Oct 9--Peter Gizzi, Julie Carr 7pm! Oct 9--Peter Gizzi, Julie Carr 7pm! PETER GIZZI is the author of The Outernationale, Some Values of Landscape and Weather, Artificial Heart, and Periplum and other poems 1987-1992. He has also published several limited-edition chapbooks, folios, and artist books. His work has been translated into numerous languages and anthologized here and abroad. His honors include the Lavan Younger Poet Award from the Academy of American Poets and fellowships in poetry from The Fund for Poetry, The Rex Foundation, Howard Foundation, The Foundation for Contemporary Arts, and The John Simon Guggenheim Memorial Foundation. He has held residencies at The MacDowell Colony, The Foundation of French Literature at Royaumont, Un Bureau Sur L'Atlantique, and the Centre International de Poesie Marseille (cipM). His editing projects have included o•blék: a journal of language arts, The Exact Change Yearbook, The House That Jack Built: The Collected Lectures of Jack Spicer and My Vocabulary Did This to Me: The Collected Poetry of Jack Spicer. He is currently the poetry editor for The Nation. He works at the University of Massachusetts, Amherst. Julie Carr is the author of Mead: An Epithalamion, and Equivocal. She has poems and essays in Volt, Verse, American Letters and Commentary, Denver Quarterly, Women Studies Quarterly, and English Language Notes. Poems of hers have also appeared in Best American Poetry 2007 and in the anthology, Not for Mothers Only (Fence Books). Carr teaches at the University of Colorado, Boulder, and is the copublisher, with Tim Roberts, of Counterpath Press.